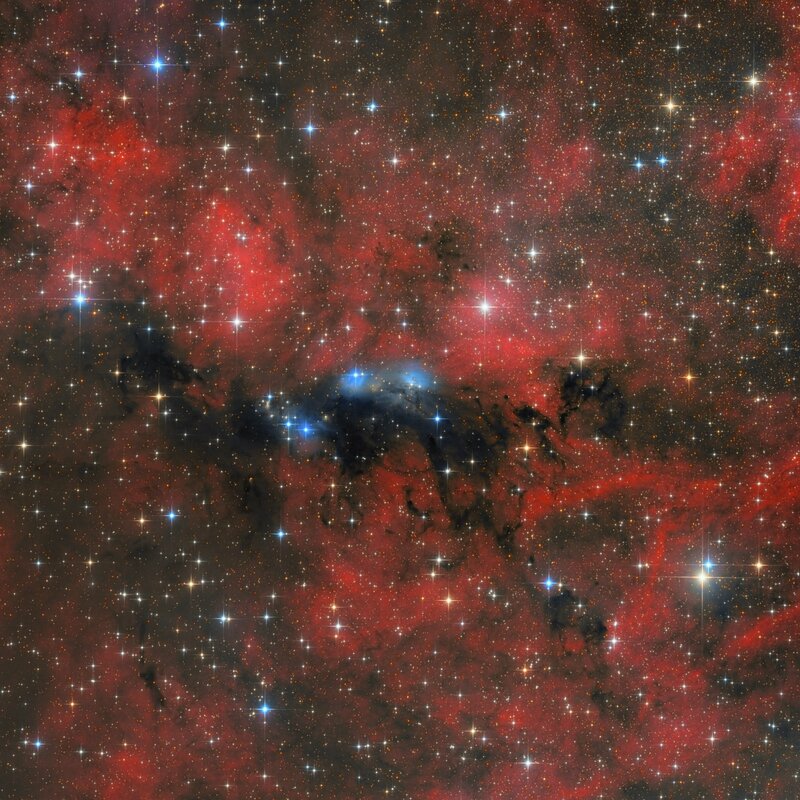 This nebula complex is in the constellation Cygnus, at a distance of 6000 light years. 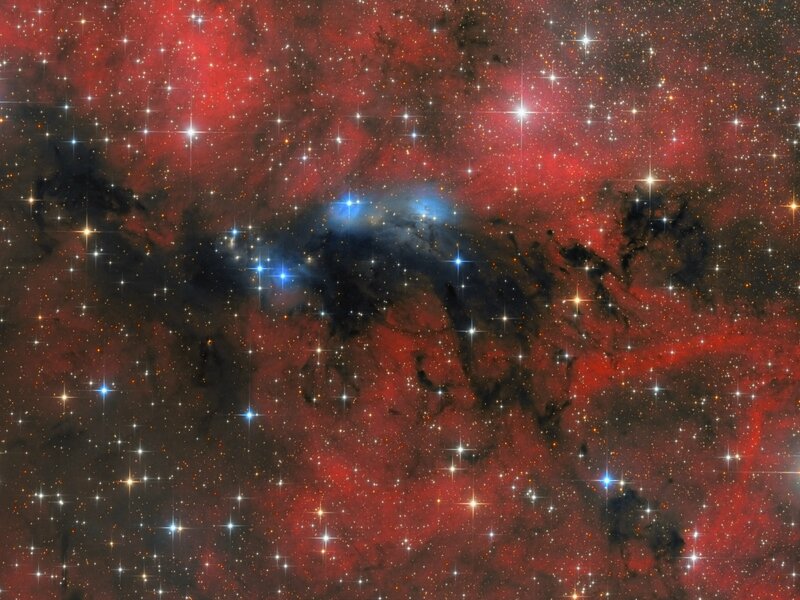 The two blue reflection nebulae, to the top, are catalogued as vdB132. To the left, and slightly lower, is the blue reflection nebula vdB131. Together, with the surrounding emission nebula, they are catalogued as NGC6914. The image also contains several other bright and dark nebulae. The nebulas are illuminated by the star cluster Cygnus OB2. The cluster contains a lot of very hot and bright class “O” and class “B” stars.